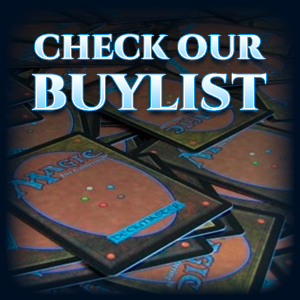 Card Effect: Stride (Released when both players' vanguards are grade 3 or greater! )-Stride Step-[Choose one or more cards with the sum of their grades being 3 or greater from your hand, and discard them] Stride this card on your (VC) from face down. 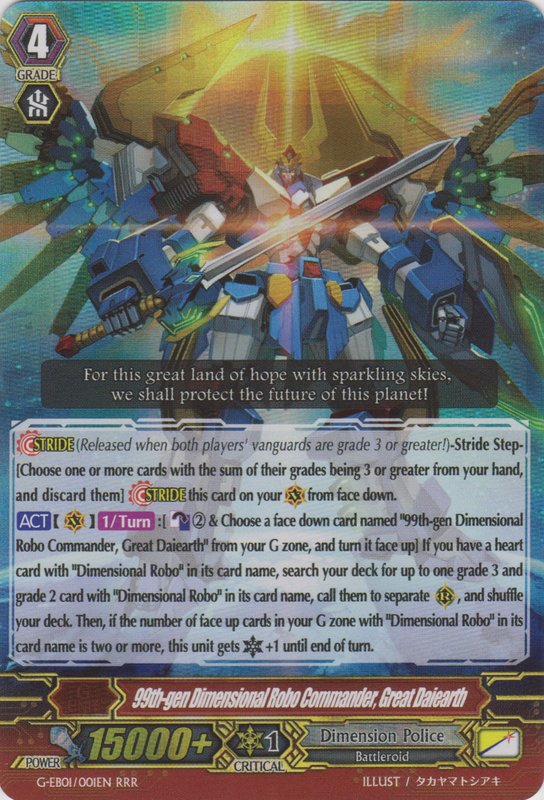 [ACT](VC)[1/Turn]:[Counter Blast (2) & Choose a face down card named "99th-gen Dimensional Robo Commander, Great Daiearth" from your G Zone, and turn it face up] If you have a heart card with "Dimensional Robo" in its card name, search your deck for up to one grade 3 and grade 2 cards with "Dimensional Robo" in its card name, call them to (RC), and shuffle your deck. 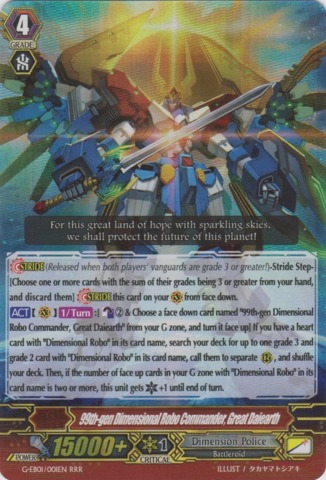 Then, if the number of face up cards in your G zone with "Dimensional Robo" in its card name is two or more, this unit gets [Critical]+1 until end of turn.